Itinerary -Day 1Meeting at Lviv International Airport, Lviv Railway Station or Lviv hotel. 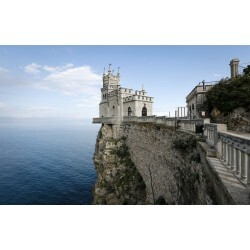 Transfer ..
Itinerary -Day 1Transfer for hotel in Kiev to Pereyaslav-Khmelnitsky. Visit Museum of Folk Architect..
Itinerary -DAY 1 KYIV WELCOMES YOU!· Arrival in Ky..
Itinerary -Day 1Walking tour of Lviv Sights: Market Square (UNESCO World Heritage), Lviv Opera and B..
Itinerary -Day 1Meeting at the KBP airport and transfer to hotel. Walking tour of Sights in Kiev: St..
Itinerary -Day 1Transfer to Uman. On the way visiting Zhashkiv Stud Farm with horse riding (optional..
Itinerary -Day 1Transfer to Chernigov. On the way visiting Church of Nativity of Mother of God in Ko..
Itinerary -Day 1Transfer by private car from hotel in Kiev to Korosten. Visiting of Military Museum ..